Paris has a big pollution problem. 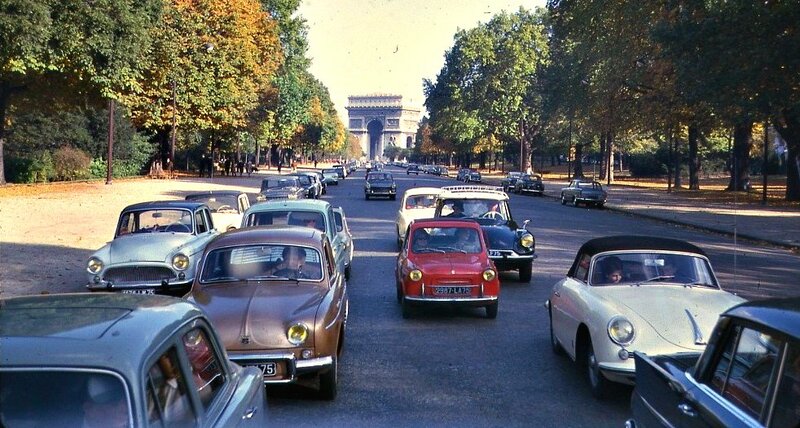 The French capital banned diesel cars made before 2000 on Monday, in a bid to reduce air pollution plaguing the city. If successful, the solution could see further implementation in other cities and countries. The city has introduced a new six-level sticker system. All cars driving around the capital are expected to display a sticker that shows the car’s registration and emission levels. Levels one through five indicate how harmful the car is, with a sixth green sticker indicating the vehicle is entirely zero emission. Paris has banned cars showing a level five sticker, which covers around six percent of cars on France’s roads. North of Paris, London has also been struggling with some of its worst air pollution levels ever. For the first time, mayor Sadiq Khan has issued a black alert on Tuesday, the highest alert for air pollution. The mayor will now carry out audits of the 50 most polluted schools and consider measures like banning car engines from idling and encouraging pupils to walk to school instead. The Paris solution has seen interest from other cities, but one country wants to try it on the national level. By 2030, Germany wants to ban all combustion engine cars from the roads. The country’s federal council also wants to implement the ban across the EU, a move that could have far-reaching implications for reducing CO2 emissions.